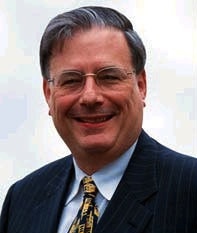 Howard B. Eisenberg joined the Marquette faculty as Dean and Professor in July, 1995 after an unusually varied legal career. A native of Chicago, Dean Eisenberg was a Phi Beta Kappa graduate of Northwestern University. He attended the University of Wisconsin Law School after which he clerked for Wisconsin Supreme Court Justice Horace Wilkie. From 1972 until 1978 he served as the chief State Public Defender of the State of Wisconsin and wrote the current State Public Defender statute. Dean Eisenberg left Wisconsin in 1978 to become Executive Director of the National Aid and Defender Association in Washington, D.C. From 1983 to 1991 he was Professor and Director of Clinical Education at Southern Illinois University School of Law in Carbondale, Illinois. He served as Dean and Professor of Law at the University of Arkansas at Little Rock from 1991 until he joined the Marquette faculty. Dean Eisenberg argued more than 300 appellate cases before state and federal courts, including two cases before the United States Supreme Court. He wrote widely and presented dozens of continuing legal education programs in the areas of criminal procedure, legal ethics, elder law, and civil rights. Dean Eisenberg received many awards including the 1989 Outstanding Achievement Award from the Governor of Illinois for his work in combating elder abuse and the first Walter J. Cummings Award in 1992 as the outstanding court appointed attorney in the Seventh Federal Judicial Circuit. He received the award a second time in 2002. Dean Eisenberg received several awards recognizing his commitment to pro bono legal services. He served as a member of the Wisconsin Board of Bar Examiners from 1996-2001, and served as Chair of the Board during 2001. He was immediate past chairperson of the Appellate Practice Section of the State Bar of Wisconsin, and he served as Chair of the Seventh Circuit Rules Advisory Committee since 1998. In 2002 Dean Eisenberg was appointed Chair of a Special Commission to advise the Archbishop of Milwaukee on issues relating to sexual abuse by priests. Later in 2002, the Governor of Wisconsin appointed him to co-chair a special committee to recommend changes to the Wisconsin corrupt practices act. Dean Eisenberg was a fellow of the American Academy of Appellate Lawyers, the Wisconsin Law Foundation, and the American Bar Foundation. Dean Eisenberg taught criminal law, criminal procedure, professional responsibility, and appellate advocacy. What's a Nice Jewish Boy Like Me Doing in a Place Like This?